Did someone say Cabin Night? Today was another action-packed day here at Camp Timberlake! 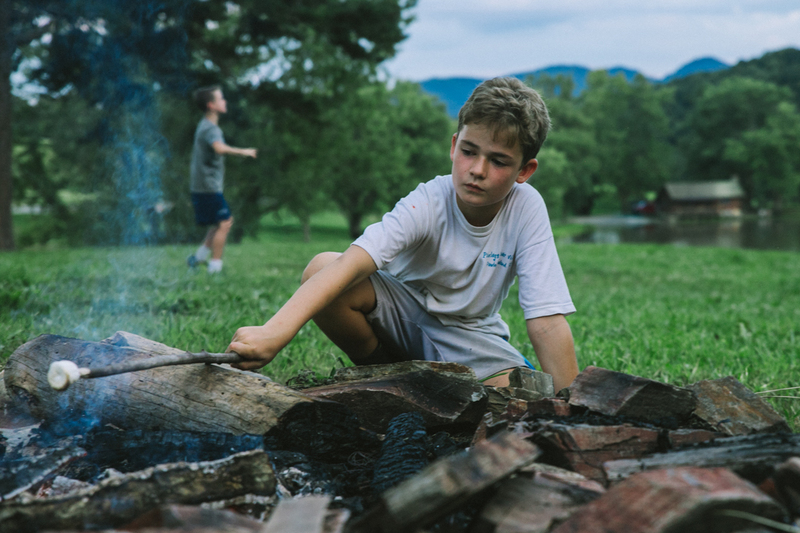 Campers were busy in camp and out of camp growing in their activities, trying new skills, and building friendships. On the basketball courts our campers put their skills into action in scrimmage games. A game with Drew J. and Archie D. went down to the last shot which was made by Carson H. PAWS class took the puppies on walks around camp. Nolan B. led the way with the camp puppy, Mary Ann! One of the best parts of our daily activities is that campers can learn new skills and work toward markers of achievement throughout the session. In fencing class, Alexander W. got his bronze bar and JT D. made progress toward his silver bar. Up on the paintball course, Jake B. also got his bronze bar. We love that our campers have the opportunity to develop all types of skills—Guitar class highlights our boys’ creative side. 2nd period Guitar class, including Harrison D, Ethan H, Matthew L, and Tyson M. worked hard on plucking skills to learn “Smoke on the Water” and also perfected E Major and G Major chords. Over in cooking class, our campers learned how to make bruschetta. Jack B, Lance K. and Cullen L. sliced toppings while Daxton M, Wake P and Christian S. crafted the perfect presentation for the snack. Hopefully this is a skill they can bring back home with them! In addition to in camp activities, we also had some high-adventure trips outside of camp. Sanders A, Reid C, Ben C, Davis P, Dallas M, and Charles T went fly fishing on Wilson Creek. They worked on casting, learned about the different types of flies, and had quite a few bites on the line! A group of climbers, Daniel Y, Geoffrey M, Parker C, Henri F-P, Ted Q, Chris D, Cater H, Noah V, and Will G, went to Devil’s Cellar to put into practice the climbing skills they had learned at camp. Our water skiing trip had a beautiful day on Lake James. Nicholas O. waterskied and wake boarded for the first time. Edward C and Dylan C showed great skill for wakeboarding and waterskiing, along with Scott B, Spencer L, and Charlie O. As I write this, the cabins are winding down their activities to close out another action-packed day at camp. Thank you for sharing your sons with us this summer. For the BannerThere’s always time for an adventure!